I met Bob Friedman in 1962 at the first creative writing class ever offered at the University of Virginia. The small class was established by George Garrett, a significant novelist and poet, who became a mentor to Bob, me, and Henry Taylor, who later won the Pulitzer Prize for poetry. The three of us performed the role of publishers for an anthology of creative writing titled New Writing from Virginia. George Garrett edited the content and Pulitzer poet Richard Wilbur wrote the introduction. Although the small book was privately published, Bob and I were photographed presenting the book to the UVA President in 1963, our graduation year. Monty (l) and Bob present a copy of New Writing from Virginia to UVA President Edgar Shannon in 1963 prior to sailing for Europe. Since I had been to Europe as a 16-year-old third cook on a Norwegian coal freighter, my post graduate goal was to return to Europe and live the expatriate lifestyle of writers like Henry Miller and Ernest Hemingway. Bob liked the idea of the adventure and joined me in booking one-way freighter passage to Europe. Our parents were consoled in our recklessness by the fact that traveling together we might survive. When we enrolled in a graduate school program there, we would also be deferred from the Vietnam War military draft. Our adventure began in Amsterdam, Holland and continued in Germany, France, England, and finally Denmark and Sweden. We nearly died in a snowstorm while hitchhiking in rural Germany, and we went completely broke and on welfare in Paris when the checks from home could not be cashed. On the late afternoon of November 22, 1963, Bob and I took a train from London to the town of Virginia Water to be the guests of a friend for dinner at his gentlemen’s club. We were greeted with the news that our President, John F. Kennedy, had been shot; and before we took the midnight train back to London, Kennedy was reported dead. Everywhere we went on our trip to Denmark, flags were at half-mast, and when we were recognized as Americans, people tried to console us. For Bob and me, it was an especially bonding experience. Later, Bob in Copenhagen and I in Stockholm did not get the university credits necessary to preserve our deferred draft status. Bob rushed back to the States, and George Garrett got him accepted into the MFA writing program at the University of North Carolina at Greensboro within twenty-four hours. I remained confident that a major leg surgery done four years earlier would keep me out of the Army. I was wrong. More than a year later I visited Bob at UNC-G as a soldier on leave who expected to go to war in Vietnam as the Plans and Training NCO of an evacuation hospital. I learned on that visit that Bob would never reject me no matter how reckless and desperate I behaved. Bob never judged or turned away a friend. He was unique in that way. While stationed at Ft. Polk, Louisiana, I had a girlfriend in New Orleans in her last year of becoming a registered nurse. If I could get leave to come to Mardi Gras, she promised to find us a cheap hotel on the parade route. I invited Bob to join the party and help me with the expenses. Bob got a blind date with a girl from the very classy Sophie Newcomb College, and the four of us had a three-day party on a balcony overlooking the major Mardi Gras parade route. Bob and I later married those girls. When I was in Scandinavia, I began to paint in the company of well-established artists of the Bauhaus Situationist movement. Before I was drafted into the Army, I had exhibited my paintings and been recognized in Danish and Swedish media. Back in Norfolk, Virginia after two years of active military service, I opened a small art gallery—Gallery Saint—and failed to make a living as an artist and exhibitor of modern art. Bob had given me money to open the gallery, and he and Donna had attended my one-man show there. For their support, I gave them a painting titled “My Three Sons.” Bob ultimately had three sons—Jonathan, Matthew, and Marc. I am very pleased that they call me Uncle Monty. 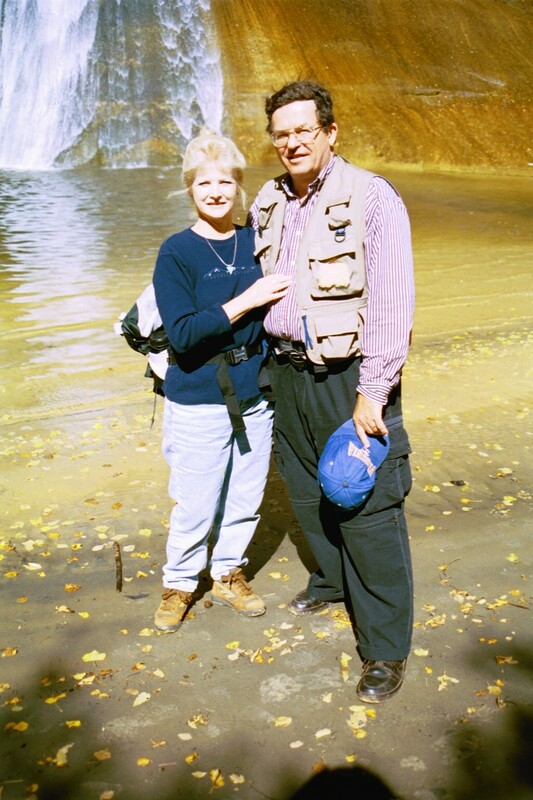 By the time I became self-sufficient and married with a first daughter, Bob took his MFA degree to the University of Wales and began to work on a Ph.D. My extra job in those years was as an international education consultant to the Methodist Board of Higher Education. To promote their summer enrichment program at the University of Graz in Austria, I recommended that we produce a documentary film about the student experience. The only way that the film could be financed, however, was for me to produce, write, direct, and edit it. In planning the production, I arranged for a two-day stopover in London so that Bob and Donna could come from Wales to join my then-wife Theresa and me. When Donna saw the huge bathtub in our gentrified London hotel room, all she wanted to do was to soak off the Wales coal dust from her skin and hair. The four of us got into the standing-room-only line at the Wimbledon Lawn Tennis Championships to see American Arthur Ashe advance into the semi-finals. Looking for a better option, I used a radio station press card to bluff my way to a set of official press credentials and was given a seat next to the New York Times sports reporter very near the Royal Box. I offered my companions turns-of-use with the press credential, but they would have none of it. Bob loved to tell that story because it proved me to be a colorful character. I was always in comic relief to Bob’s stoicism, but I took pride in being able to make him laugh. I founded Metro Hampton Roads Magazine in 1970, and by 1971 it was a growing monthly. By 1974, I need editorial help, and Bob, after teaching at East Carolina University, needed a job. He became my Managing Editor. Some of Bob’s staff hires attempted a take-over of the magazine, and I took a month-long vacation to prove that they were not qualified. The owner, seeing that the magazine would miss its printer deadline, called me back to fix the problems. I immediately fired Bob and his staff. My best friend! Years later, while visiting Bob in Charlottesville, his housemate was very surprised to learn of the firing. During our work together at Metro, Bob also contributed photos published in the magazine, including cover shots. For a cover shot about the funeral business, I lowered Bob into an open grave, and he shot the grisly real gravediggers looking down at him. I paid the gravediggers $5 each, and we walked away and kept silent until Bob started screaming to be pulled up. We had gone to the cemetery hoping for a picture opportunity. What we got was fantastic. Bob, however, never laughed when I told that story. Another fine mess that I got Bob into was the cover and interior shots for “The Spies Among Us.” I took Bob to a rooftop overlooking the Newport News Shipyard where an aircraft carrier and a nuclear submarine were under construction. We were acting like spies to prove a point. The magazine attorney warned us to inform the government before the pictures were published. The Navy, the Pentagon, and the FBI went crazy when they saw the pictures. Some of the photos were rejected, but the magazine was ultimately published on schedule, but at the last minute. There was a week, however, when Bob thought that we might end up in Federal prison. Soon after Metro, Bob founded The Donning Company and established it as the major publisher of pictorial history books in the country. I had left Metro to become Associate Publisher of Holiday, the national travel magazine, and then returned to Metro under new ownership. I quit within a year to pursue personal writing projects. More to the point, I was a divorced would-be novelist living in a second-rate apartment which happened to be a block away from the Donning offices. Realizing my humbled circumstances, Bob hired me as an acquisition editor. I traveled to cities and towns as distant as Dover, Delaware and Bradford, Pennsylvania to find local historians and owners of photo collections who I could put together for a pictorial history. When I began to write my first novel and had a manuscript, who did I show it to? Bob, of course. Bob read almost every novel that I ever wrote, some 22 of them. He never offered any criticism, but he always encouraged. 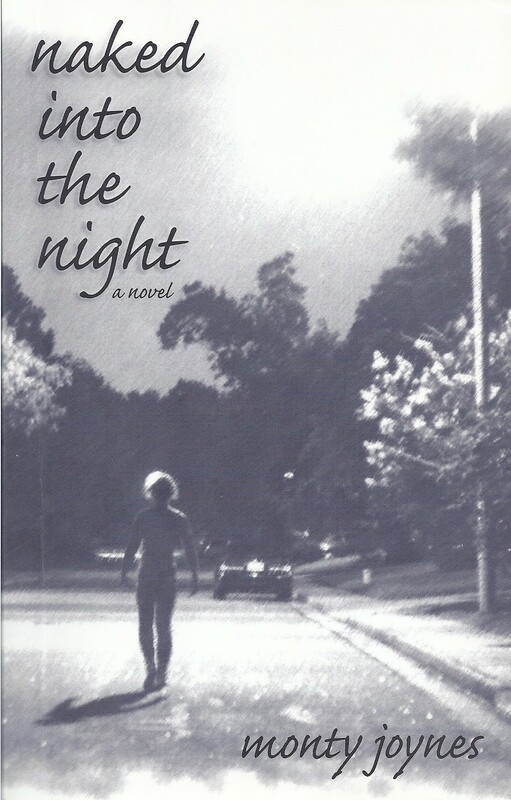 By the time I asked him to read my fourth unpublished novel, Naked Into The Night, Bob was co-founder of The Hampton Roads Publishing Company located in Virginia Beach. Years had passed, and I was happily remarried and relocated to Boone, NC in the Blue Ridge Mountains. I had found my life’s companion, Pat, after spending a year of spiritual retreat mostly in silence. I did not want to be the arrogant, judgmental, and violent person that I had become. I wanted a quiet mind. Bob understood my transformation experience; and when I brought him Naked Into The Night, he realized it was the product of a new literary genre that he termed Visionary Fiction. When Bob and Frank relocated Hampton Roads to Charlottesville, VA, I became with other HRP authors annual participants in the Virginia Festival of the Book. Bob was by then prominent in the Independent Publishers Association, and he was also a member of the VA Book Festival program committee. I was a guest in Bob’s home when Neale Donald Walsch visited for the first time. Bob had “discovered” Neale, so to speak, and published what would become the huge worldwide best seller Conversations with God. Bob needed our bed to host Neale and his wife, so Pat and I were sent to a rural B&B that couldn’t have been more grand if it had belonged to Elvis. We had a huge luxury suite, and outdoors were the wonderful amenities of a large swimming pool, a ten-person California redwood hot tub, and a free-standing sauna. The owner-chef was trained at the Cordon Bleu, so we also enjoyed gourmet breakfasts. Poor Neale. If he only knew. A gathering of friends at the Virginia Festival of the Book. Left to right Bob, Va. Poet Laureate Kelly Cherry, Monty, Pulitzer Prize Poet Henry Taylor, and NC Poet Laureate Fred Chappell. Monty in chef regalia on Bob’s deck at reunions. Our annual visits to Bob’s residences in the Charlottesville area evolved into a routine. Bob teased me by saying that he didn’t know what he enjoyed more –my books or my cooking. He especially liked my pork tenderloin dinners and my Shrimp Alfredo. Another member of our reunion gang, Ed Catania, cooked another night. His Rosemary Chicken was always prized. Danny Lliteras, one of Bob’s most prolific authors and brother-like friend, and Jonathan and Matt, Bob’s sons, were left to the cleanup. Another tradition was an afternoon of smoking good cigars and drinking something special like Bailey’s Bristol Cream in the yard or on the deck. None of us were regular smokers, but the cigar smoke seemed to stimulate the conversation and make us laugh. One night after nine, Bob telephoned to ask me to accept a making-of-the-movie book assignment for The Celestine Prophecy, James Redfield’s worldwide best seller. He was still in negotiation, but he needed to assure the movie producer that he could have a credited author on the movie set by the next day. Near midnight, the contract was agreed upon, and the next morning I was on my way to St. Augustine, Florida. I was six weeks on the set for the principle shooting in Florida, and another week months later for post production in Burbank, CA. 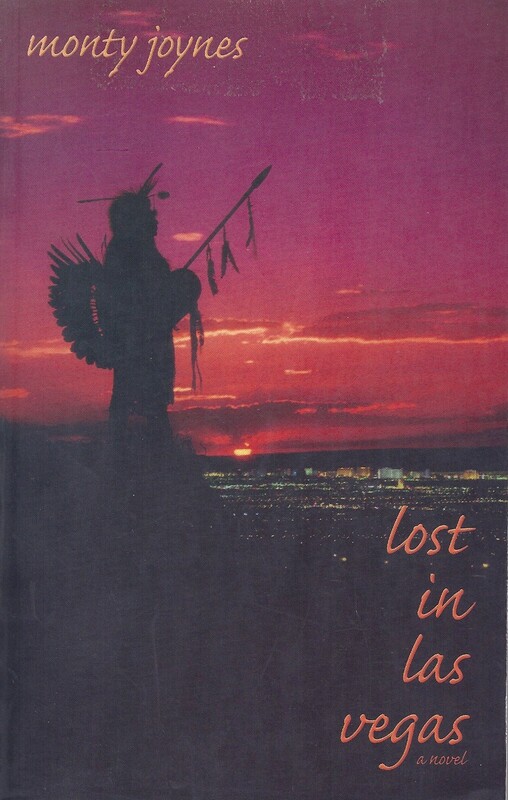 The coffee table book with over 160 photographs was published in 2005 in conjunction with the release of the movie, but the film never went into major distribution. It went directly to DVD to retailers. Bob and the producers judged the book to be excellent, but without the success of the movie, it did not sell. My best royalty check came from the German edition. Bob used the quality of The Celestine Prophecy movie book to convince Neale and Stephen Simon, producer and director of the movie based on Conversations with God, that I should write and photo edit their making-of-the-movie book. The job took me to Ashland and Medford, Oregon during December where the outdoor sets were so cold that we were issued foot and hand warmers. 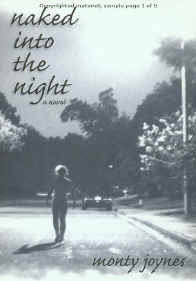 Disappointing in previews, the feature film never went into major distribution, and thus its movie book failed to sell. I coached the actor who played Bob’s character in the movie on how to be Bob. That was great fun for me. Bob may have overestimated my ability to overcome challenges. He knew that I had founded a World Affairs Council, served as an aide to ambassador-level dignitaries, and that I had personal friends in the US Senate, House, and State Department. When Katy, Bob’s second wife, wanted to go to Cambodia to adopt their baby Sophie, Bob recognized it as a potentially dangerous mission. I was caught completely off guard when he made his request. “Of course,” I responded without pause as if it were within my power. It was a brief moment without further discussion. I later thought, was there anything that we could not ask of each other? In the retrospect of over 50 years, the answer is self-evident as it is to many in the brother and sisterhood that Bob had established. In 2013, I stayed at Bob’s home as we attended the 50th Reunion of our 1963 UVA class. The endowment at UVA had already exceeded $1 billion, but still we were solicited for more. Bob and I walked the Lawn together and sat for the presentation of reunion class gifts. Five classes participated. The class older than ours gave over $1 million. Our oversized presentation check was something over $600,000. Bob followed UVA sports, and he wore Cavalier ball caps and Virginia monogrammed sweatshirts and sweaters even when he watched games on television. He persisted in inviting me to home football games. I finally joined him for the first University of Miami ACC game at Scott Stadium. The crowd numbered over 63,000. Getting to and from the stadium was painfully exhausting on my surgically repaired knees. I told Bob that the next time I came to a game, I should land midfield in a helicopter and be taken by golf cart to the skybox elevator. My post-game departure should be the same. Despite my protests, Bob continued to invite me every year. Pat and I visited Bob and his loving life partner and caregiver, Beth Hines, the week before Thanksgiving (2018). We brought one of Bob’s favorite dishes—my Shrimp Alfredo. I made constant attempts to amuse him, and he smiled and chuckled in the right places and spoke in fragmented phrases. I said, “I love you.” And Bob managed to say, “I love you, too.” The leave taking was very hard. Back home in Boone, NC, Pat was in daily email contact with Beth, and we tried to comfort her in the ways that we were led. I spoke to Bob twice on the phone, but by that time, it was a one-way conversation. Among our reunion gang, Danny Lliteras visited more than once from Alabama and was a huge supporter for sometimes a week at a time. Ed Catania and wife Angie came from Florida and cooked for Bob and Beth. Author Vernon Kitabu Turner and wife Joyce came from Virginia Beach during the last weeks as others did to comfort Bob and help Beth. 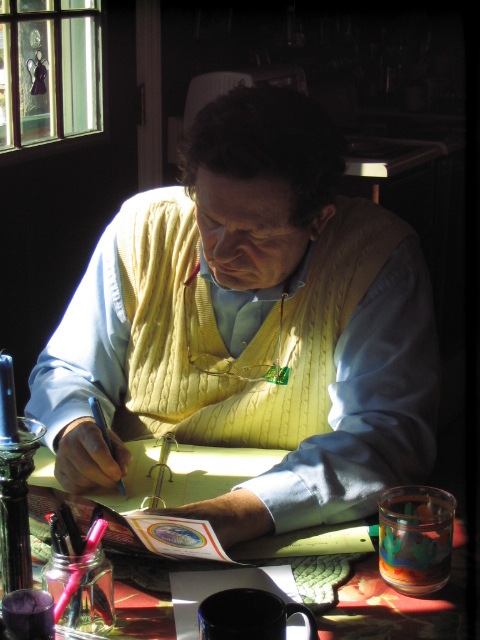 Robert S. Friedman, publisher and best friend, passed this life on January 7, 2019 at his home in Faber, Virginia at the age of 76. Bob had brought a brother and sisterhood together, and we did not fail to honor him for his many gifts to us. Of course, there were hundreds who called Bob father, brother, and friend. Bob, my true friend for 57 years, led a very significant life. There are a thousand meaningful books that carry the imprint of Bob’s heart and intellect. His legacy will live as long as human beings seek metaphysical truths. Bob and Beth on Ed Catania’s wedding cruise. Photo by Angie Catania. “First Day at An Khe,” a short story that I wrote 34 years ago, won the fiction prize in a national veterans writing competition sponsored by The Missouri Humanities Council and the Warriors Arts Alliance. 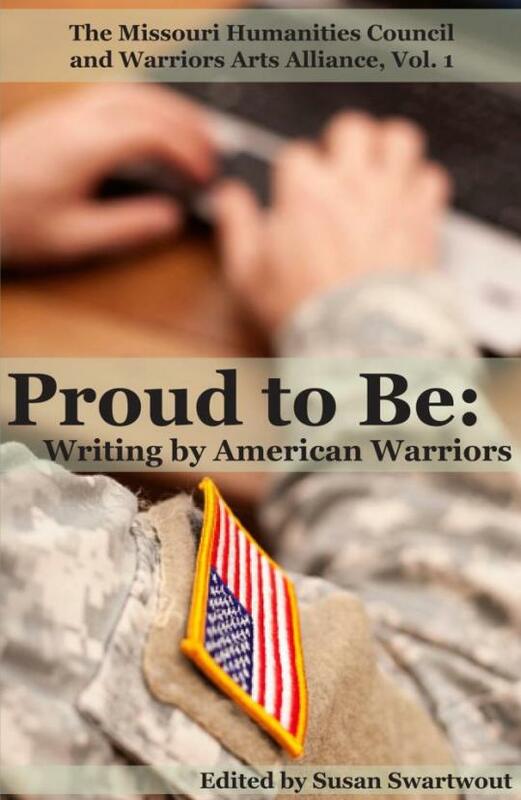 The anthology in which the story appears is titled PROUD TO BE: WRITING BY AMERICAN WARRIORS. Specialist Four Monty serving with the 91st in 1966. 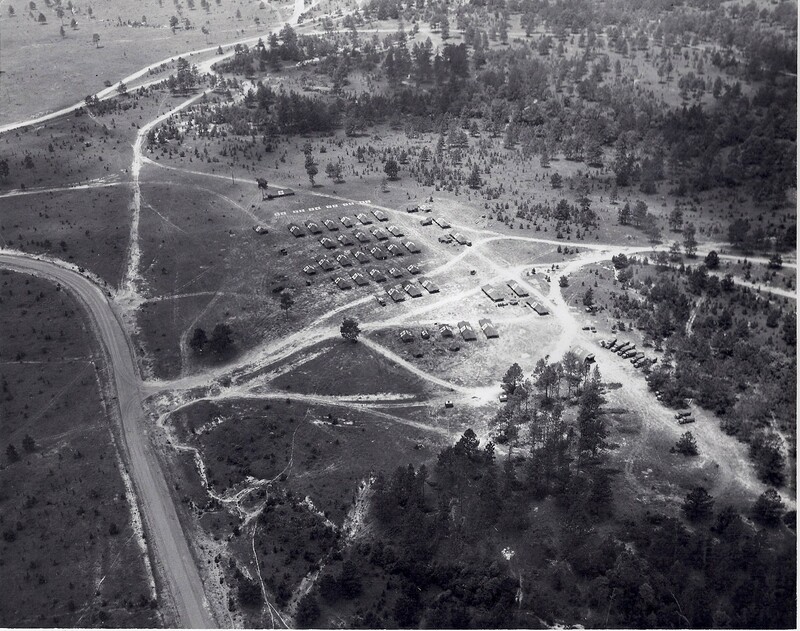 The 91st Evacuation Hospital in the field circa 1966. “First Day at An Khe” was my second war story to be published within a month. My story “Jody Got My Girl and Gone” was included in REMEMBRANCES OF WARS PAST: A WAR VETERANS ANTHOLOGY published in October. War veterans live among us as family members, friends, and neighbors, but seldom do we get insights into the emotional costs of their military service. Yet, we need to know. We need to connect. And if we are afraid to personally ask about their painful realities, then at least we can read the candid testimonials of warriors like them. For here lies the gateway to understanding the grounds on which sacrifice stands. 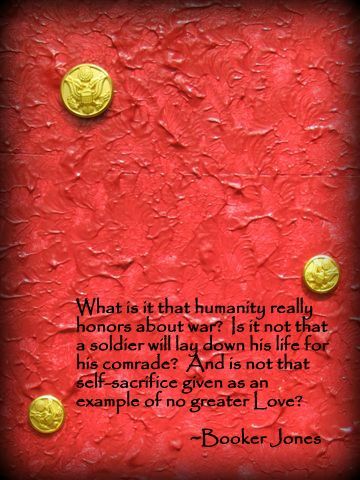 Through intimate prose and poetry we have an opportunity to be made whole as a people who recognize deeply the cost of war. UPDATE: Proud to Be: Writing by American Warriors, Volume I, has won the 2013 Stars and Flags Book Award gold medal for an anthology. A national contest, the Stars and Flags Book Awards program was established six years ago in order to promote books that have a connection to the military and to support veterans. The judges are historians, educators, and authors, many of whom are veterans themselves. In our dialog with other writers, we met D. Jean Quarles and traded some observations about the writing lifestyle. Jean’s networking with additional writers generated a collection of observations, lessons, and confessions that she thought appropriate to share. And thus, through Jean’s vision and effort, evolved an anthology that became the book, The Write Balance: Journaling The Writer’s Life now available as an Amazon download. My short contribution is titled First the Path, Then the Companion. The piece contains the kind of advice that an older writer might give to a younger one. The first college professor who told me that I had the potential to be a literary artist tried to warn me about the detours to art that romance constructs. Here then is my contribution to The Write Balance. You might want to download the entire book to see what other writers advise. “After you have made the life-altering decision to travel in the direction of the literary arts, the next crucial decision is who will go with you as spouse or companion. Do not put the second before the first, or you will create constant conflict instead of literature. the great facilitator for a very productive writing period that did not depend on commercial success. 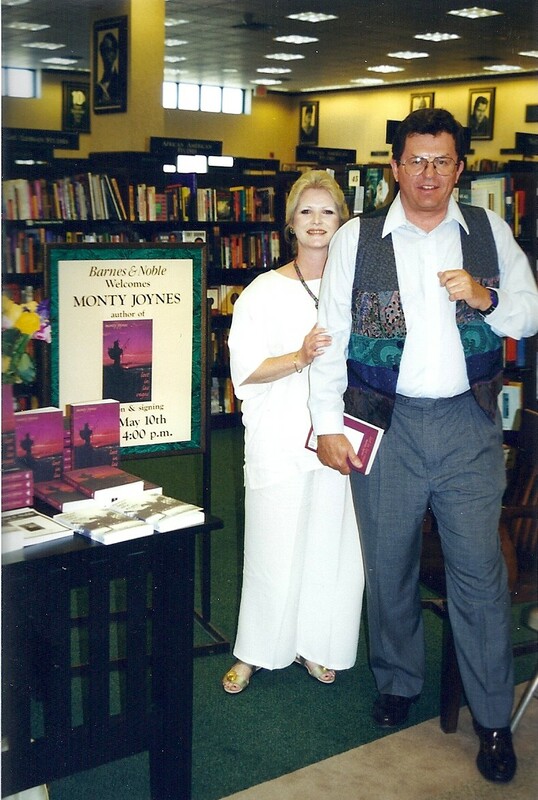 As my partner, copy editor, researcher, and manuscript preparer, we were able to produce novels, non-fiction books including a long two-subject biography, and libretti for an oratorio and two grand operas over a period now spanning 29 years. Meanwhile, we operated a seasonal manufacturing and retail business to support ourselves and our three, now college graduated, daughters. During those years, I wrote full-time six months and then worked seven days a week for six months in the business. With the girls married, we sold the business in 1992 and have devoted ourselves full-time to the literature ever since. We count our satisfaction with lives lived in the dedicated pursuit of art not on published success, but rather by the manner in which we have remained faithful to whatever literary work was inspired for us to do. We honored whatever talent we had in the completion of more than 50 major literary works. We fulfilled and continue to fulfill the will-to-art that provides meaning and purpose to our life together. In moving through life everyday there are events that move us emotionally. For the writer, there are vehicles of expression that offer us release and celebration. 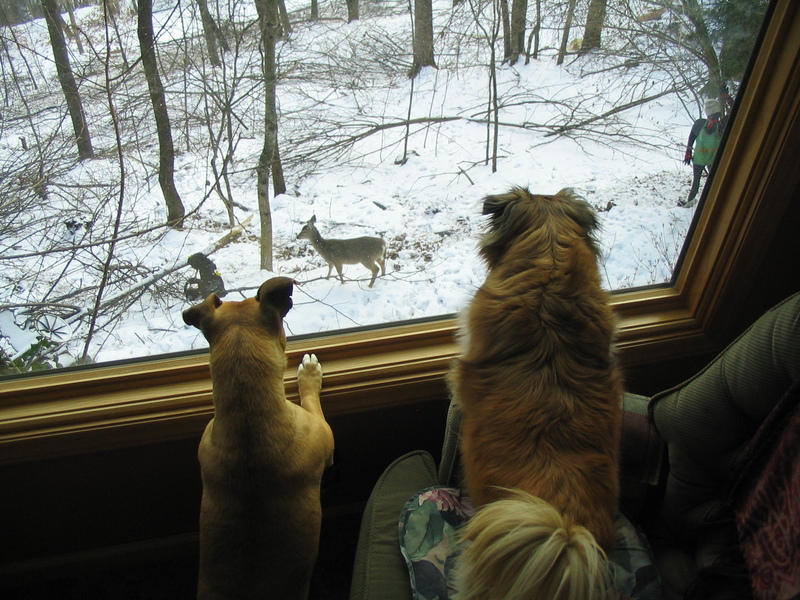 My wife Pat and I have enjoyed the companionship of dogs for most of our lives. We begin each morning in our sunroom with a coffee klatch that includes our two dogs—Mili, a Tibetan spaniel, and Heidi, a mountain feist—who find their way to our laps. Mili came from our Humane Society and was saved from third-stage heartworms, and Heidi is a strayed and stayed who arrived at our door pregnant with what soon became five puppies. Prior to Mili and Heidi, we had Angel, another Humane Society shelter adoption. Angel was a black border collie mix who was our constant companion at work or leisure for 14 years. In our front yard garden there is a granite memorial headstone and a black wooden silhouette of her that has her former collar around its neck. I share this emotional attachment to our own dogs in order to explain why I was so moved by a totally unexpected event while visiting a close friend at her veterinary clinic. Unable to contain what I had witnessed and felt, I wrote this poem. Old Samoyed whose name I did not know. To explain that she had just put you to sleep. With a solemn expression and the brown plastic bags. Your head was massive and expressionless. With the dark wrinkled bags and coarse hemp twine. And followed your masters to your affluent home. That became slick gray murals swirled with red oxides. And breaking its back on the accumulating pile. A baby’s grave, dug deep in the memory of the soil. To measure your life against the hole to put you down. To your strength and beauty seconds after death. What exactly is Visionary Fiction? Since four of my novels in the Booker Series have been “pigeon-holed” within the category, I thought I should attempt a definition for myself so that I could respond to the obvious question. For me, the Visionary Fiction genre includes novels that deal with shifts in awareness that result in metaphysical understanding by the central characters. The plot of the novel is generally more concerned with internal experiences than with external. The work is also “visionary” in the aspect that the authors sometimes (or often) employ non-rational means such as dreams or extrasensory perceptions to develop the content of the book. In my own experience, I explore the cultural separation of the rational and intuitive approaches to reality. Much of what the characters do and say come from an intuitive perspective. Since I am a cultural man of the Indo-European tradition with its system of logic and reason, I must depend on visionary experiences to give me insights into the intuitive. The experiences are not intellectual. They cannot be professionally researched or forced by will into expression. The altered reality comes through surrender, not aggressiveness. It is always beyond the mental resources of the author. It is a humbling experience, which in its appearance on the page, can only be acknowledged as a gift. All this being said, a good novel is a construct requiring writing talent and an apprenticeship to the craft of writing. One must learn and practice the trade to be able to employ the visionary material in a meaningful way. Visions alone do not spontaneously turn non-practicing writers into novelists. The novel, by definition, is a form. It has literary precedence and craft standards. It occurs to me that much of the literature of the industrial age to the present has been a medium defining the chaos of the “modern” human condition. I hope that visionary fiction breaks from the angst of the past and shows its authors and its readers a more enlightened passage into the future. In this regard, visionary fiction may be truly visionary. But why the novel? Why not non-fiction testaments to visionary viewpoints? The good novel has penetrating power to individual awareness because it involves the reader in the deep process of human character. The good novel is more than information, more than entertainment. It is a pathway to the reader’s subconscious mind. Hawthorne called this achievement “the single effect,” that indescribable feeling one experiences on reading the last page of an important novel. If the reader has immersed himself or herself in the process of the character, the experience is more than vicarious. It is profoundly real; and within the subconscious mind, the reality is not separate from feelings that actually occurred to the reader in his or her physical domain. If you allow yourself the reflection, has there not been a book in your life that altered your awareness—a reading that you mark as a turning point in your own life? What facts in the book were responsible for your feelings about it? Is it not the intuitive qualities that resonated within you from the reading that prompts you now to cite its importance in your personal life? Can you enumerate the altered chain of choices that you made thereafter? Visionary Fiction could be in danger of being branded as “message books.” Who needs more messages in the sensory bombardment of the information age? I hope that Visionary Fiction becomes the medium for metaphysical experiences on a deeply personal level and that the content transcends momentary emotionalism and initiation to the occult, to lead the reader to his own visionary experiences. I set out in a series of novels to explore the possibility that an individual caught up in a western material environment could, in fact, remake himself as a human being. His exploration, and mine, hopefully becomes the reader’s as well. And in that process, we share a vision that leads to future awareness of our common humanity. What can lovers and friends do when they recognize a creative artist in their midst? The young person struggling with artistic impulses is vulnerable in the formative years. Without the maturity of craft and experience, the need for lessons, coaching, and educational support is essential. In fact, the artist’s need to learn and explore never ends. The creative person remains an avaricious student their entire life. Formal education is often too structured and limiting for the impatient potential artist so guidance is important at this stage of development to assure a good background. A painter who does not understand the history of his art form will always be limited by what he or she does not know. A novelist who has no critical perspective of his genre is destined to mediocrity. Many localities offer special programs for the gifted and talented. Acceptance in their educational program should be the goal of the creative aspirant. By the late teens and early twenties, the creative personality will do well to find a mentor, an older person in her artistic field who can serve as teacher and advisor. Mentors open the door on the real life of what it means to pursue art. The struggle and the compromises of adult life become evident as art as a profession is revealed. Most acolytes of art never progress beyond this stage. Although they do not choose the sacrifices of the artist’s life, they can become an especially qualified audience for appreciation of the art form. Beyond the early stages of recognition of talent and the acquisitions of basic education and skills, the creative artist needs an opportunity for growth and refinement. Since it is usually impossible to earn a livelihood from purely artistic productivity, practical compromises must be made. The natural urge toward marriage and children further complicates the equation. Families are required to make significant financial and lifestyle sacrifices if they are to support a creative artist member. It is a difficult role to play because it is easy to see the artist as a selfish, willfully exploitive human being whose personal interests outweigh the comforts and concerns of the family. If dedication is a prerequisite of the artist, it is also a necessary quality of his or her enduring family. If the goal of the lover can be the same as the artist—the consistent completion of artistic work—then the lover and the artist can take joy in the productivity. You may have noticed in this blog that entries will try not to become gender specific because the blogger is male. In a general commentary, the pronouns will often alternate between paragraphs. As a man with three daughters and five granddaughters, the blogger intends to be as gender inclusive as possible. Many people have passions. The passions may have a multitude of focal points, but the goals are always fame, money, and power. A part of the creative artist also wants materialistic rewards; however, she finds herself unable to position herself for them. She cannot be at peace doing commercial work or by repeating past efforts as a sop to critics and the buying public. Repetition is artistic death. No matter how economically and socially comfortable success can be, creative energy is lost in the seduction, and the artist can become impotent if she cannot deny the circumstance and retreat into the truth of her own reality. The creative artist hopes for recognition, but he must deny it emotionally if he is to grow and fulfill his potential. The creative artist believes in her own work although she is unrecognized or severely criticized. Her worst fear is that her talent and craftsmanship are not equal to her passion. What if nature has given her the drive but not the talent to create something of value? What if her environment, and her own weaknesses, allow her only to produce mediocrity? Many, many are given the will to art so that the few might achieve. Countless sperm struggle toward a goal so that one might succeed and procreate. That is nature’s way. All artists must face this reality and conquer self-doubt every day of their creative life. The creative artist believes in his product although self-doubt can torment him and keep him off balance and depressed much of his life. It is the emotional dichotomy of unavoidable passion for creative work and self-doubt exacerbated by an unsupportive marketplace that makes artists seem eccentric, strange, or even ill. Many occupations are means to an end. But the creative product is the end for the artist. Financial security is the means, not the end to the creative personality. The value and fame that the society places on the work is a consequence of the work and not the goal of the work. History demonstrates that much of artistic value was created by people who died in poverty and struggled during their lifetime for the opportunity to be creative. If you have ever lived with one or loved one, you know that the creative artist is a complex character seemingly devoted to emotional contradictions. For hundreds of years, writers, painters, sculptors, composers, and musicians have made self-defenses of their passions and life styles. The efforts extend pity to paradox, and the divorces and estrangements continue from age to age. There are many common elements of the creative personality that form a syndrome of their peculiar malady. If the disease can be identified and isolated, perhaps there can be an understanding of the behavior of the patient. First of all, let’s define what we mean by a creative artist. The creative artist creates a body of work. The definition is not dependent on whether the work is published, produced, or performed. Each piece, long or short, must be completed, however, and a compilation of past and planned projects must demonstrate that serious work is being done on a continual basis over a period of years. An individual who writes one novel, one play, or one symphony and then quits because the work was not accepted is not a creative artist. The creative artist cannot quit no matter what his circumstance. If the society condemns his work, he will become furtive, go underground, but he will nevertheless be productive. You can identify the creative artist by his persistence to produce work in spite of poverty and rejection. There may be very productive periods and very unproductive periods depending on circumstances, but the creative artist is always working at his art. Pretenders at being creative artists can talk for hours about their plans and ideas, but they will have no continuum of finished work to show for all their talk and emotion. The creative artist has finished work to show. The creative artist creates in spite of all financial and interpersonal obstacles. The creative artist may perform other occupations. She may even do commercial work within her discipline, but no work outside of her creative production satisfies her. If happiness can be defined as inner peace and tranquility, the creative process is her only real, unqualified joy. No matter what emotions were involved in the arrival at the creative moment, beyond the anger and the tears. The moment of creation is pure delight. If your artistic friend seems moody and distant at times, it is because he is in the creative process. He is experiencing the withdrawal symptoms between bursts of creative energy. He is a creative junkie waiting for the next fix of creative juices. The creative artist can experience unqualified happiness only in the solitary moments of the creative act. She is often inept emotionally outside of that experience. When she is concentrating on a large work, she has little or no energy left for other activities. That’s why she flops into bed and sleeps for ten hours at a time. That’s why she watches too much television and ignores the household chores. The creative artist has an innate drive and passion for his art that is genetic. A long evolution has produced him. He is programmed by nature to express himself in literature, or marble, or with musical instruments. Often in his lifetime, he will wish that he could cast off the impractical yoke of this insatiable desire, and some fight it to their own mental and physical destruction. The will to art is not always a welcome passion. It often seems to the individual a cruel joke that denies choice and free will.